Loft conversions are a popular way to add valuable space to your home. 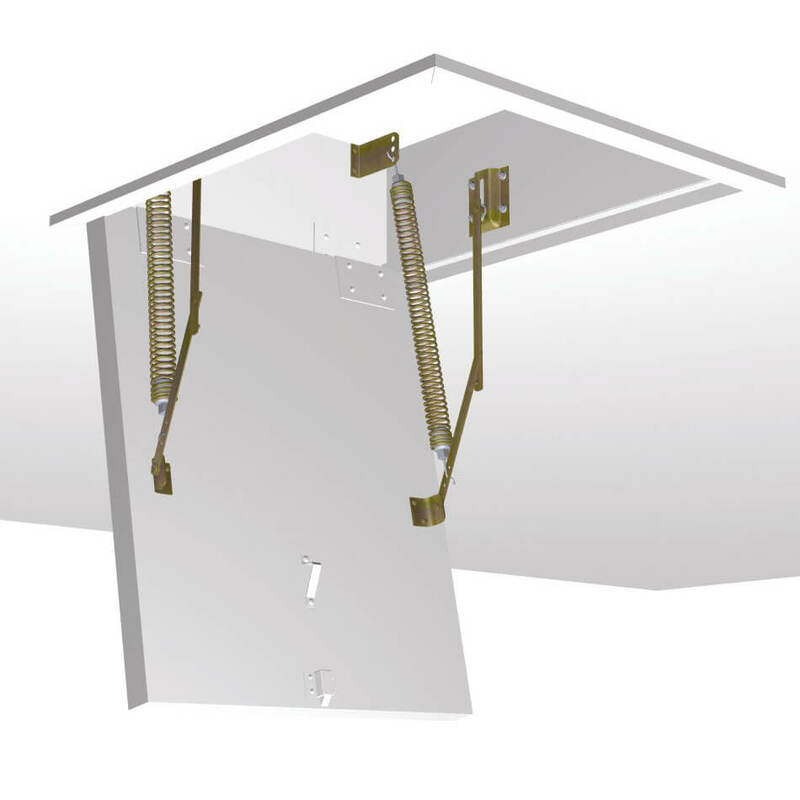 One of the biggest challenges with any loft conversion is where to put the stairs. Also, what type of staircase should you go for? 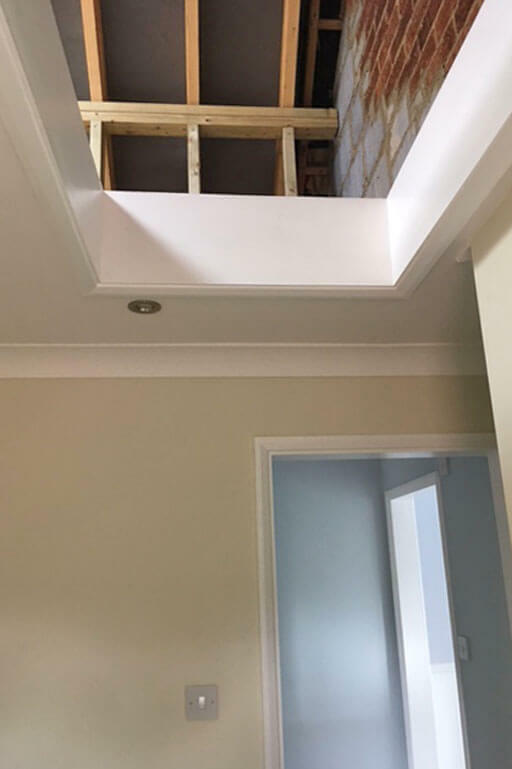 Home owners Bobby and Simon had exactly these concerns when planning the loft conversion of their family home in Norfolk. 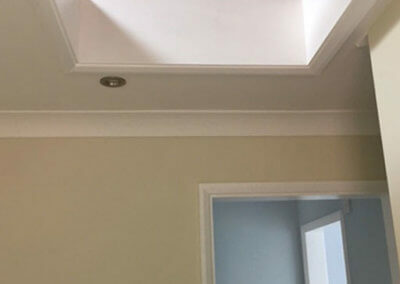 As part of a wider home renovation project, Bobby and Simon took the decision to create an attic room. 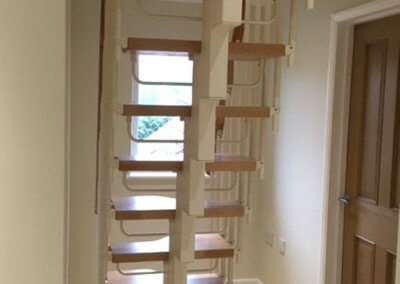 They formed an opening to the loft and left space on the landing for the loft conversion stairs. 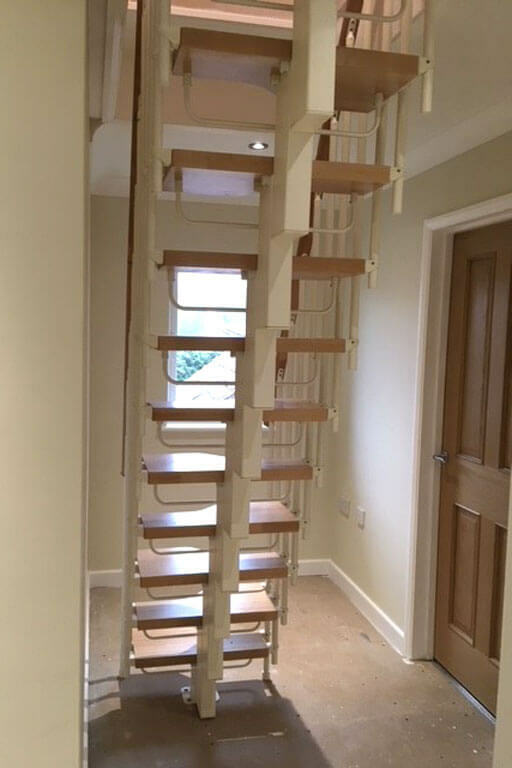 However, neither the opening or the landing were large enough for a full-size staircase or spiral stairs. As such, they needed a space saving solution. Also, given the prominent location of the loft stairs, they needed to look good. Safety was also a key consideration. 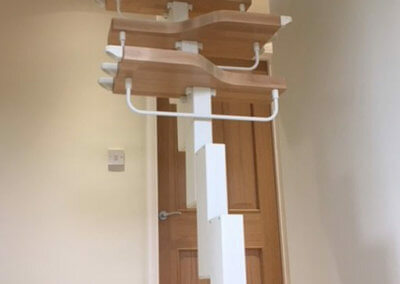 With a young child, it was important that the new staircase minimised any risk of falling between gaps and featured handrails. 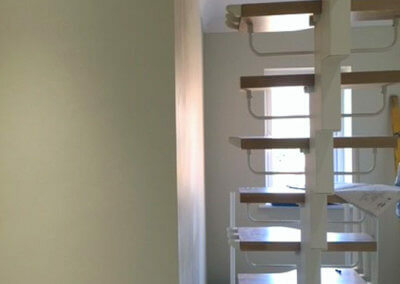 Bobby and Simon contacted Premier Loft Ladders for advice on suitable loft conversion stairs. 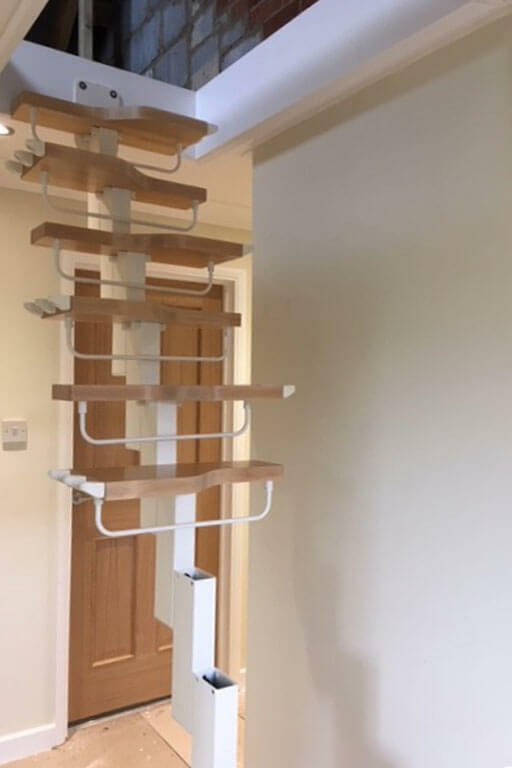 The Compatta space saving staircase was an ideal solution, but getting the specification right was particularly important if it was going to be able to meet all of Bobby and Simon’s needs. 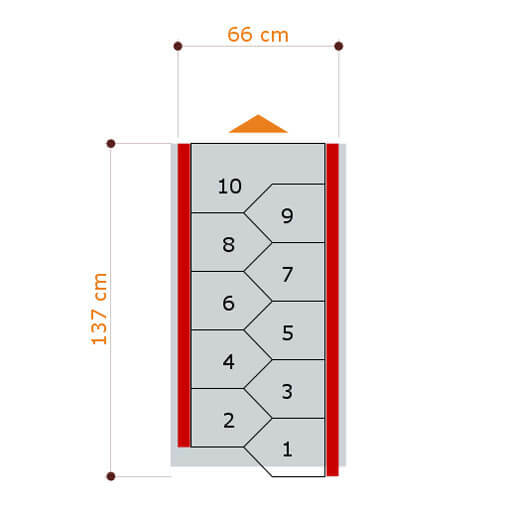 Full details of the dimensions were given to Premier Loft Ladders, as well as a few photos of the existing opening and landing. These were then used to determine the ideal stair arrangement. A straight run with 10 treads was optimum in this instance. However, the existing opening was too short. After consultation with their builder, Bobby and Simon confirmed that they could extend the opening/well to achieve the required length. 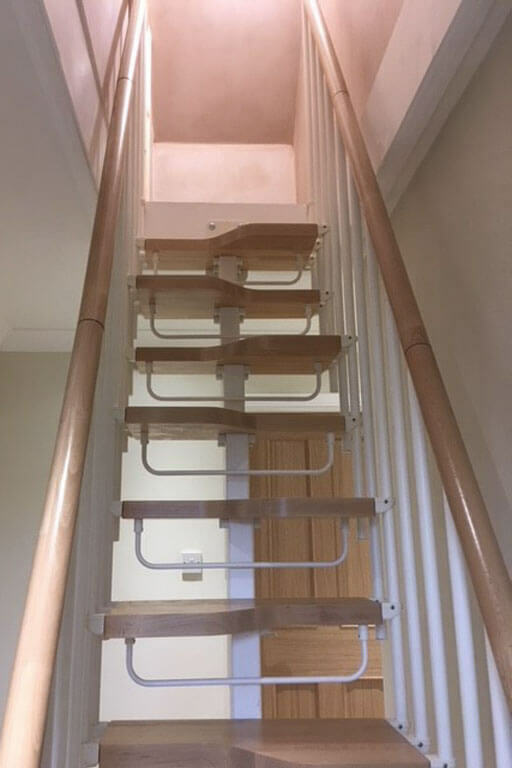 Compatta loft conversion stairs with two handrails and safety riser bars. 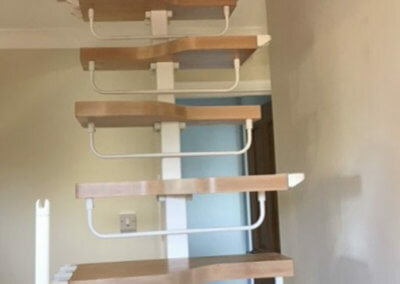 To complement the colour scheme of their home, Bobby and Simon chose the white finish for the structure and the natural Beech finish for the treads and handrail. 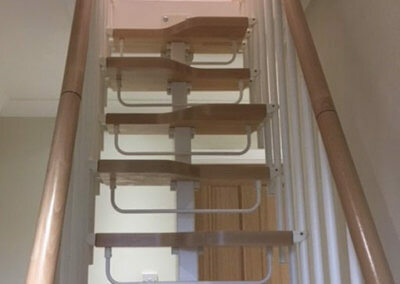 In addition, their new loft conversion stairs were fitted with ‘safety riser bars‘. 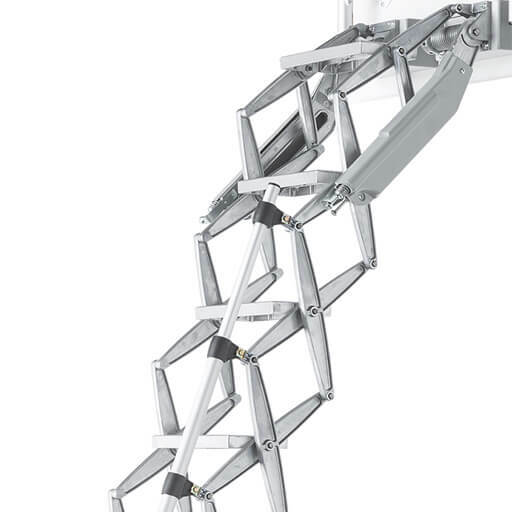 These are fitted to the underside of the treads and prevent a 100 mm sphere (e.g. a baby or small child) from passing through the gap. Also, because of the distance between the staircase and the wall, handrails were fitted to both sides. 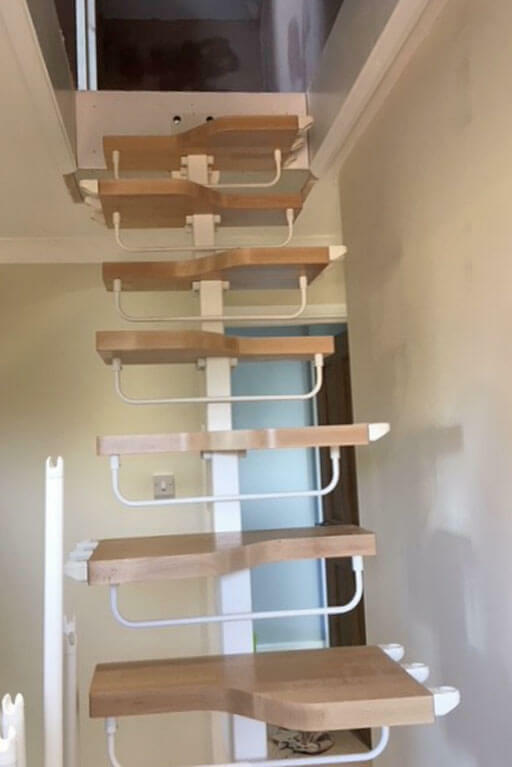 Compatta loft conversion stairs being assembled. Staircase treads being fitted to steel structure. Final phase of loft conversion staircase installation with handrails being fitted. 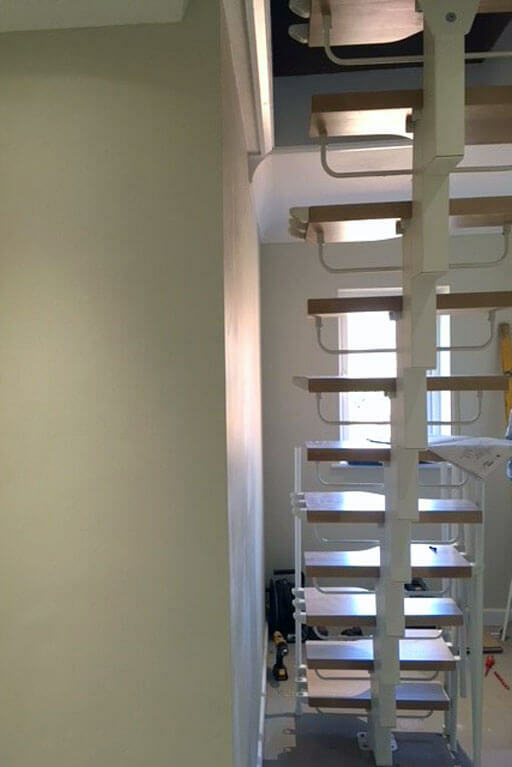 View of rear of Compatta loft stairs being fitted with handrails. Compatta staircase installation nearing completion. 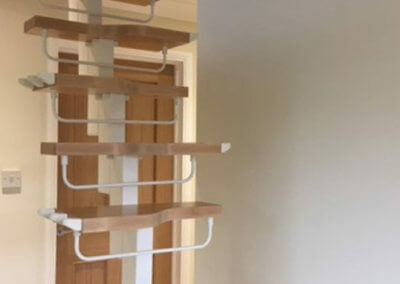 Compatta loft conversion staircase with safety riser bars. 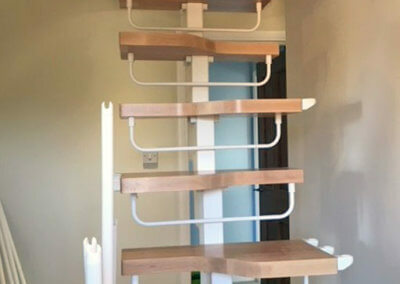 Compatta loft conversion stairs, featuring white powder coat steel structure. The conversion of the loft into a usable family space in Bobby and Simon’s home was a key part of their renovation project. Therefore, gaining safe and easy access to the new room was important. 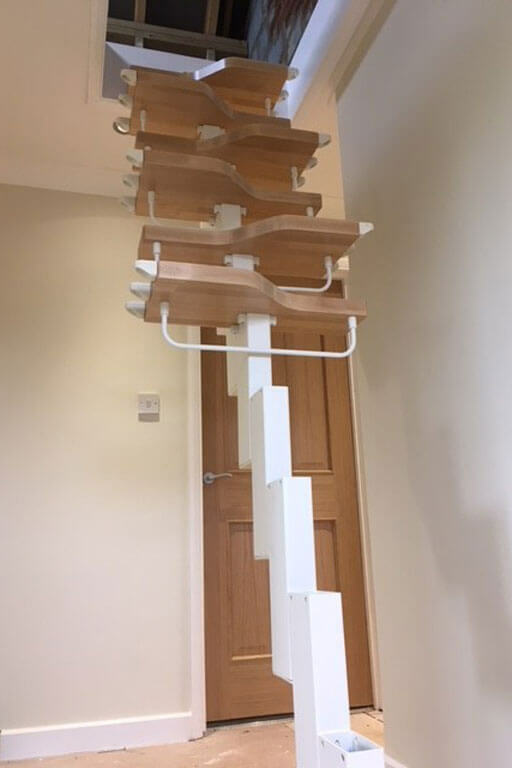 However, with limited space for the loft conversion stairs, the best solution was the Compatta alternating tread staircase. 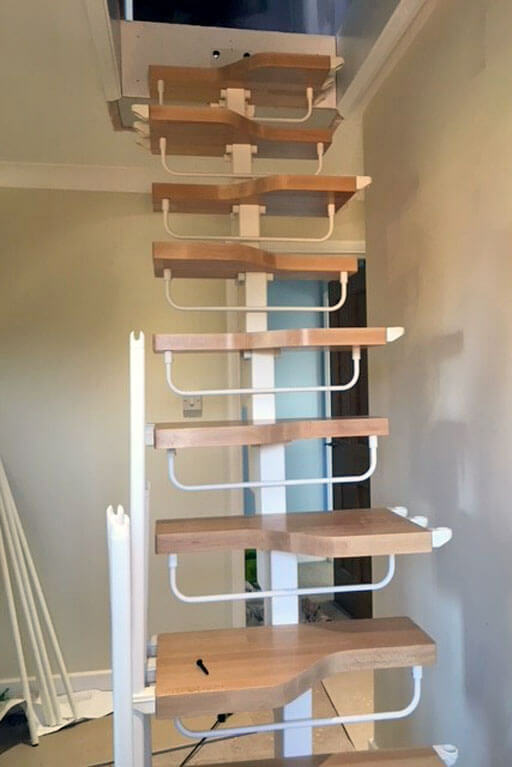 The Compatta staircase fit perfectly within the available space. 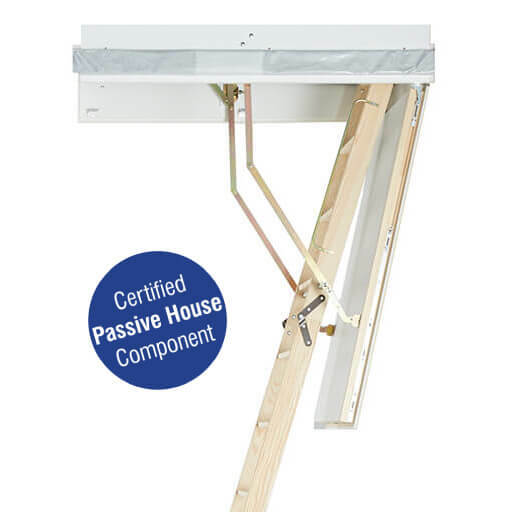 In addition, the adaptable modular design meant that Bobby and Simon could choose a finish that suited the rest of the decor.